If you have been in the RC world for quite some time and you want to break new records, then maybe it is high time you get yourself a fast RC car. It is pretty amazing what today’s modern RC cars can do. The one-size-fits-all RC cars of yesterday are gone. You can choose among any car, buggy, truck, tough, fast, depending on your needs. And since you are looking for fast RC cars, you came to the right place. This guide is all about fast RC cars. We will try our best to explain the terms in the simplest way we can, in case you are an RC newbie. We know you’ve been wanting to skip to this part, and we’re glad you didn’t. We hope this list can help you get yourself a super-fast RC car that will meet your needs. Please know these cars are listed in no particular order. Later, we will also show you a short list of fast cars you can find on the market. We hope you will enjoy this guide. Take notes and see you in the end! The term “R/C” has been used to mean “radio controlled” or “remote controlled”. Remote controlled includes vehicles connected to their controller by a wire. However, nowadays, common usage of “R/C” usually refers to vehicles that are controlled by a radio-frequency link. R/C cars are powered by a variety of sources. Electric or Nitro for a Fast RC Car? Remote control cars are electric or fuel-powered model vehicles. The electric models are powered by small yet powerful electric motors and rechargeable batteries. There are also radio controlled cars with brushed or brushless electric motors. The fuel-powered models use glow plug engines, a special blend of nitromethane, oil, and methanol. In some cases, a mixture of castor oil and synthetic oil. Fuel-powered remote control cars are commonly referred to as “nitro” cars. Generally, electric cars are considered easier for the newbies to work with in comparison to nitro cars. In both electric cars and nitro cars, on-road vehicles and off-road vehicles are available. The difference between off-road and on-road cars is that off-road cars are built for various types of terrain. Off-road cars are built with fully functional off-road suspensions and wide tires. Meanwhile, on-road vehicles have less robust suspension. Technically, on-road cars are limited to only smoothly paved surfaces. However, in the past ten years, there have been advances made in “on-road” cars. Their suspension has been made adjustable as any full-scale race cars nowadays. 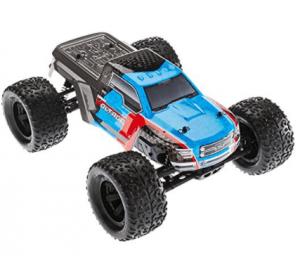 In case you are interested in Off-Road RC cars too, you might want to check this article about remote control monster trucks later. Typically, toy-grade cars are manufactured focusing on design and minimizing production costs. A toy-grade car is made with components that are harder to find. Because its spare parts and its single electronic circuit board are already integrated into the vehicles’ design. On the other hand, hobby-grade cars have electronic components that are separate and can be individually replaced in case they fail. Maintenance of hobby-grade remote control vehicles is not as easy as toy-grade remote control cars. You must know that the performance of these two tends to depend on its price. For instance, with the addition of the hobby-grade type of batteries, toy-grade radio controlled cars can get up to half the speed of the comparable hobby-grade car for 1/5 of the price. Stock toy-grade cars are equipped with weaker motors and usually powered by alkaline or NiCad batteries. Meaning, top speed is usually only 5–15 mph or 8–24 km/h. You can definitely break new records with fast RC cars. For your information, some of the fast RC cars can do more 60 mph. And did you know that there are fast RC cars that can easily reach up to 196 mph? How awesome is that? The downside is that you are going to have to shell out a bit more cash if really want a super-fast RC car. 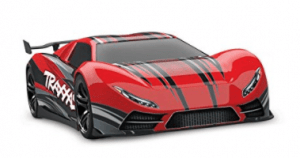 We could show you now the list of fast RC cars, but we deem it very important for you to know first some of the factors that can increase your remote control car’s velocity. In case you forgot what velocity means, it is the speed of something in a given direction. Having knowledge of these factors will not only prepare you for getting more serious with this hobby. You will also be able to save some of your time and money. Well, by knowing beforehand what factors increase your car’s velocity, you won’t have to spend so much time testing out how fast RC cars go. Not yet convinced by that? Continue reading our guide. What powers your remote controlled cars greatly affects their speed. The following are the variation in different types of cars and the variables that make fast RC cars. 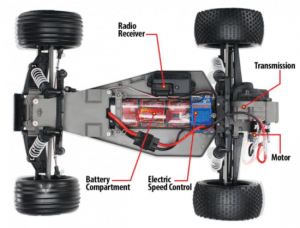 Electric RC cars come in two kinds of engines: the brushless motors and the brushed motors. The first variable that we need to discuss has to be brushed versus brushless motors. What is the difference between the two, you may ask? Basically, it is the brushes. Generally, their workings are essentially the same. However, in brushed motors, friction is used to apply a charge to the motor. This only allows less of the raw power to be converted to an actual rotation. Brushless motors can reach higher speeds as we have mentioned earlier and last longer. They don’t have contact brushes unlike the brushed. Therefore, they don’t need to be regularly cleaned and maintained. Meanwhile, brushed motors have fixed brushes and not many modifications can be done. Brushless motors may be a little more expensive but they should be preferred because of their high performance. In addition, brushless motors are technically 10-15% more efficient than brushed. This is because of the reduction of energy being lost as noise and heat. Simply, brushless electric motors are able to achieve higher speeds compared to RC cars with brushed motors. Brushless electric motors can manage voltages of high level very well. Furthermore, electric car models with brushless motors can achieve a speed of 60 mph or more. Since you are after fast RC cars, you need to go for brushless motor remote control car. How do I know if a remote control car is brushed or brushless? As the name suggests, brushless motors do not have brushes. Inside it, the magnets turn and the coil is fixed. If it is a brushless motor, it will have three connectors. On the other hand, if it is brushed motor it will have only two connectors. Alternatively, in order to find out if a remote control car is brushed or brushless, you can Google it. 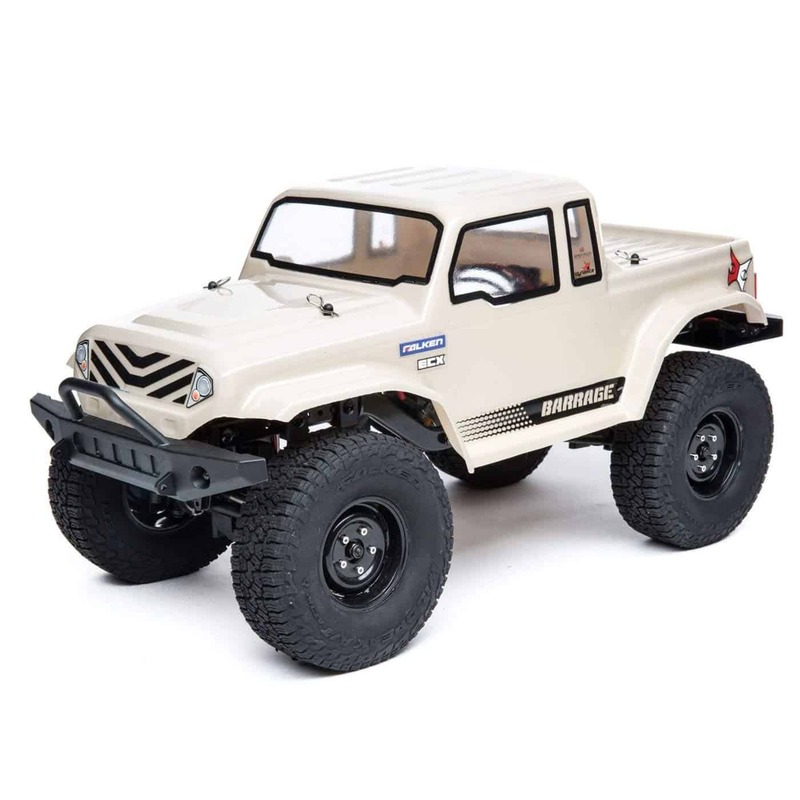 You may go to the RC car’s manufacturer’s site and do a quick search. Also, you may check out RC Geeks blog to find out if your fast RC car is brushed or brushless. They also have information about your car, like your fast RC cars scale size and surface type in that section. The next variable that could either make or break a fast RC car has to be batteries. So, LiPo or NiMH? LiPo stands for Lithium Polymer and NiMH means Nickel Metal Hydride. Typically, a Nickel Metal Hydride battery has a lower energy density and an efficiency that is lower than that of a Lithium Polymer battery. Generally, NiMH batteries are considered to be easier to maintain and are much safer than LiPo batteries. However, if you prefer fast RC cars, then go for LiPo battery. A LiPo battery has a higher discharge rate. Its energy density is larger, which means that a LiPo battery channels more power at any one time. Therefore, Lithium Polymer batteries’ energy density increases the power that is being supplied to the RC motors. In remote control cars that are powered by Nitro fuel, a high amount of powered is extruded from their engines. Nitro fuel can make super fast RC cars. They are able to reach moderate speeds and achieve their maximum speed. Nitro fuel remote control car models are known to have higher speeds in comparison to brushed electric models. It is known that speed is one of nitro fuel car models’ selling points. But you must know that they are very noisy and quite messy too. However, some RC cars online sellers no longer sell nitro fuel remote control cars. According to some, nitro cars have been superseded by electric RC cars in the super fast RC cars department. Currently, the world speed record for a remote control car is held by the fully electric “Radio Controlled Bullet”. It was clocked in at an incredible speed of 202.02 mph. So, in this variable, if it is not yet clear to you, you can try seeking other RC enthusiasts opinion or refer to fast RC cars blogs like this one. At some point, you might come across this type of radio controlled cars. And you ask yourself, “are they the fast RC cars?” Allow us to tell you this. Gasoline RC car models do not reach a high level of speeds like the electric powered and Nitro fueled RC cars. The maximum speed that they can allow is something near to 15 mph to 20 mph. Other than the various kinds of engines and power systems mentioned previously, there are more variables that you must consider. These factors are important in fast RC cars. The wheels, weight, and gear ratio affect the speed of your remote control car. Keep these factors in mind when you’re about to upgrade to a fast RC car and to have better velocity. In order to increase a remote control car’s grip on the roads, you need to use wheels with a larger diameter. If you really want a super fast RC car that can reach high speeds, the tires you have need to be less worn out. Your remote control car’s wheels must have higher friction and should have a strong grip. Remember that. Another factor that affects a remote control car’s speed is the weight. The weight of the remote control car makes an impact on the radio-controlled car’s center of gravity or the COG. Basically, the center of gravity can affect how much your car can remain stable at high speed. If the center of gravity is less and is stable, then your remote control car will be unlikely to lose control when you are speeding. 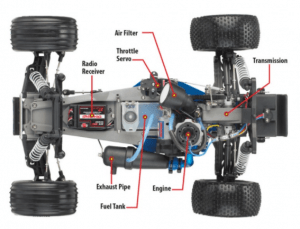 The last factor that you need to consider if you want a fast RC car is the gear ratio. To increase the speed of an already fast RC car, the easiest way is by changing the gear ratio. To manipulate the speed, you may change the RC motor’s small gear or the pinion. Or, you may change the large motor gear or the spur. Furthermore, you can try to change both and try several combinations to achieve the perfect speed. However, this only works for kit models. This does not apply to hobby-grade or ready-to-run models. If you have a normal speed RC car and you want to make it a fast RC car, here is a video from YouTube. It demonstrates how to make your normal RC car to a high speed, fast RC car. The manufacturer Traxxas has pushed the boundaries to find the next level of performance, for 25 years! You will absolutely love the XO-1 for it represents the peak of RC quality, precision, design, and performance. Its top speed is over 100 mph. To put it simply, the XO-1 is the world’s super-fast RC car ready-to-race. In order to reach 100 mph, you have to have an extreme power system. This super fast RC car’s proven ESC has been enhanced to achieve a higher output on 6S LiPo power. That is because of its integrated capacitor bank and proprietary software. The custom Traxxas Big Block brushless motor has great acceleration and true supercar performance. 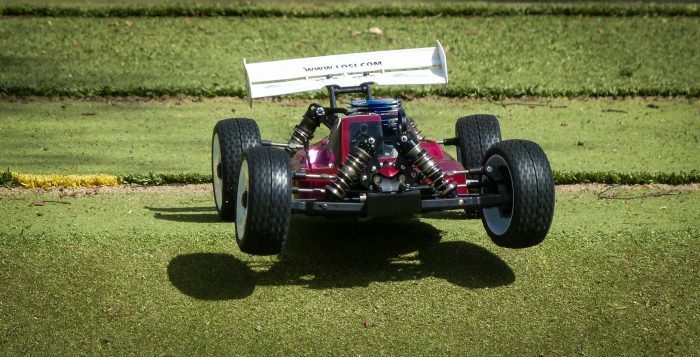 This super fast RC car has the largest brushless motor ever offered in a Ready-To-Race model. The Lightning EPX PRO by Redcat Racing knows no bounds. It is a very fast RC car that is loved by many newbies and enthusiasts. It has 3300KV brushless motor that is mounted on its lightweight plastic chassis. 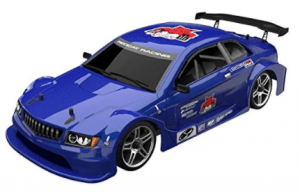 This fast RC car by Redcat Racing now includes a powerful 3500mAh LIPO Battery. The Lightning EPX PRO is easy to control. Its forward and reverse allow the RC car to back out of pile-ups in turn four and can blast to the finish with the ultimate top speeds. Its 2.4GHz radio system provides reliable control for weaving in and out of lap traffic. The Aluminum capped oil filled shocks and adjustable independent suspension allow for a tunable dampening that realistic on-road race tires need to achieve winning traction. The Granite BLX is a multi-award winning 2WD Monster Truck. It is a fast RC car that will blast you straight into the action for a high-speed RC excitement. This ARRMA RC truck is equipped with BLX85 brushless power and super durable composite, steel and aluminum parts all throughout. Its attitude and strength will allow you to challenge even the most extreme conditions. By creating a whole new class of Extreme Sports Buggy, the Traxxas Bandit redefines traditional buggy performance. This fast RC car by Traxxis the highest levels of speed, action, and fun. For all the kinds of R/C driving excitement, its features will easily make it one of your favorites. The lightweight Bandit chassis is loaded with an aggressive Titan 12-Turn modified motor and a high-current XL-5 Electronic Speed Control. This delivers a lightning-fast acceleration and an incredible 35+mph performance. You just need to pull the trigger and the Bandit blasts massive rooster tails, soars over giant jumps and lays down the power for pure performance and excitement at every turn. The Bandit is infused with the latest tech including the patent-pending Revo-Spec Torque-Control slipper clutch and Alias high-performance 2.2″ racing tires. Race buggies need a powerful steering servo for a responsive performance. 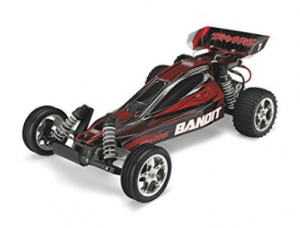 The Traxxas Bandit delivers with the 2056 high-torque servo. It has a waterproof steering servo that uses O-ring seals to keep the fun going when things get wet. This is a fast RC car that is capable of reaching speeds of over 40 mph. The Baja truck is made for any kind of terrains. It comes with a metal geared transmission, that maxes out at 8k rpms. 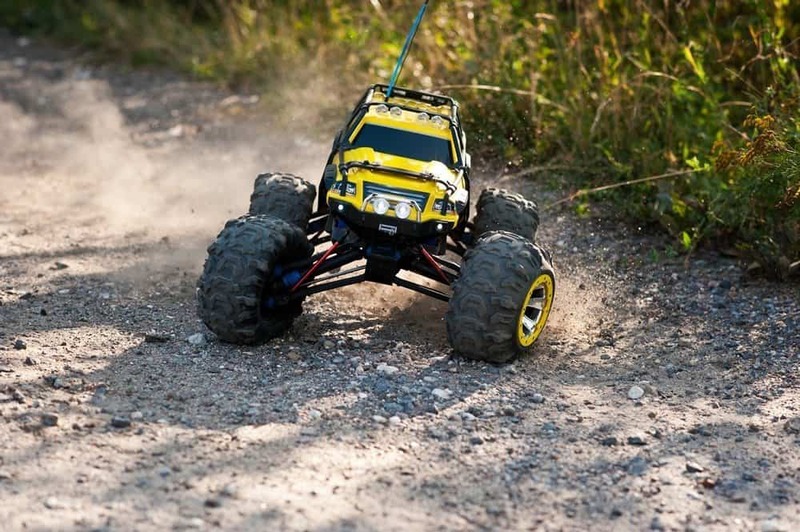 This fast RC truck is made for short course racing. Its features reflect that without a doubt. This fast RC car is powered by an insane 26cc engine. This engine is capable of running longer than 30 minutes per ride, because of its large tank size and fuel efficiency. 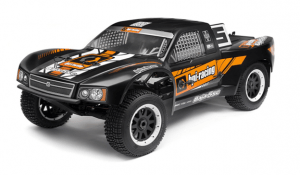 The HPI Racing Baja is an RC truck that can meet at the perfect crossroads of high-speed racing and everyday practicality. If you really want a vehicle that goes fast but doesn’t get stuck in even the thick muds, then the Baja 5SC1 is for you. Now that you are about to leave this page, we want to leave you with a short reminder. We really hope you will consider them and that they will help you with your search for fast RC cars. When it comes to batteries, remember to check that your RC car is compatible to the type of battery. Also, check the voltage of the batteries that you want to use. If you are not sure how to find this, do not panic. Try to visit the RC manufacturer’s website. Pretty sure, they have all the information that you need. 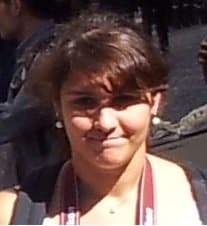 Next, do not overestimate the speed that you will need. Take note that, when it comes to choosing an RC car speed, it is not only about the price. So, you want to buy the most expensive because it is on the top fast RC cars list. But are you really certain that you can use all of the RC car’s speed? You need to take that into account too when you are buying a fast RC car. If ever you don’t have much space around you and you don’t want to take it to the park, what’s the use of having a 60 mph RC car? If the speed that you only ever get to is 30 mph, we suggest, start with moderate speed RC cars. Do not jump in at the deep end, most especially if you are a complete newbie or if you’re buying an RC car for a kid. You will only regret it thinking how much money you have spent. Try to check out ARRMA RC cars if you want. They manufacture fast RC cars that both RC newbies and veterans can appreciate. If you’re also keen to try RC submarines one day, check this out.